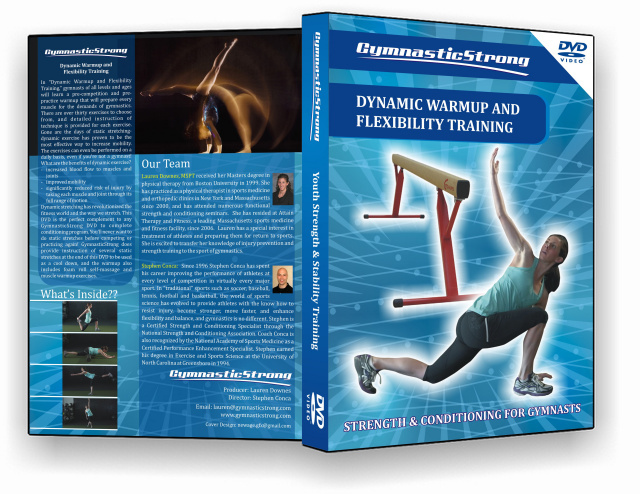 Catch our demo videos on youtube! 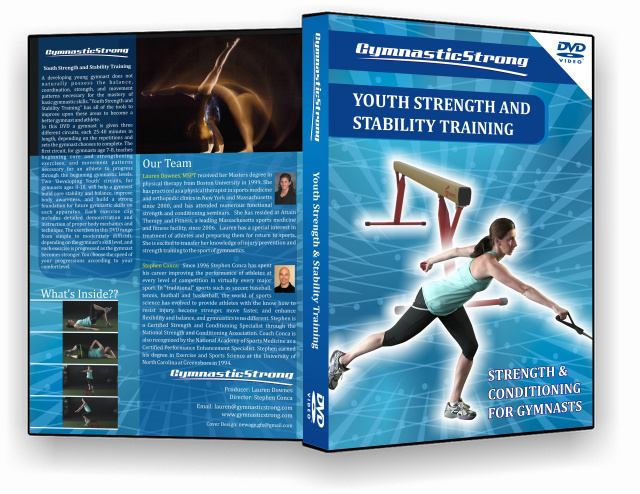 Welcome to GymnasticStrong, where you will find the latest, most beneficial strength training, flexibility, and conditioning exercise programs for gymnasts of all levels and ages. 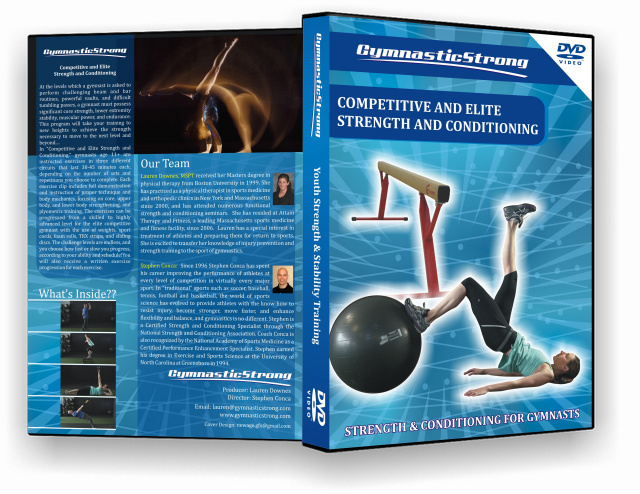 From the creators of Sk8strong's highly acclaimed DVDs, GymnasticStrong's DVDs provide coaches and gymnasts with a complete strength training exercise program that will improve a gymnast's stability, power, balance, flexibility, and strength. 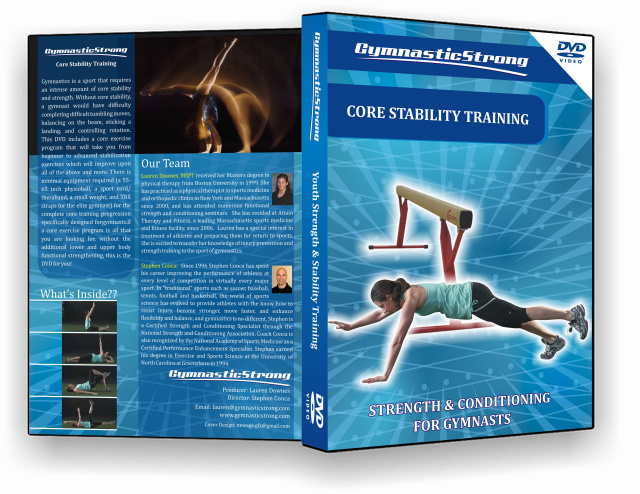 Designed by a sports physical therapist and an experienced strength and conditioning specialist, GymnasticStrong programs were created to reduce risk of overuse injuries and maximize a gymnast's performance. 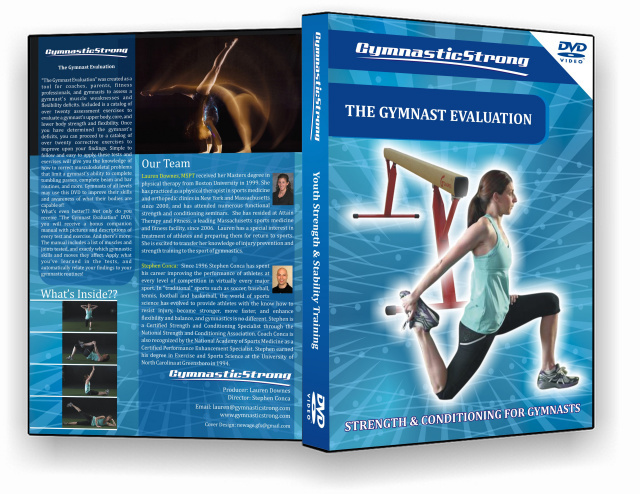 Our DVDs are age based and focus on age appropriate skill progressions, and gymasts of all levels from beginner to elite can find a training routine specific to their capabilities!